In February 1904, the towns of Pomeroy and Palmer joined together to organize the Pomeroy - Palmer Mutual Telephone Company. 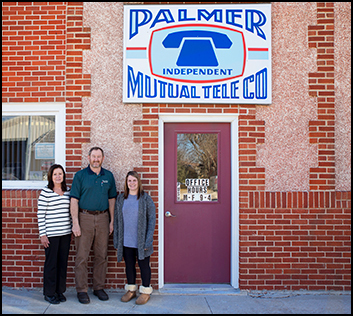 That company eventually evolved into Palmer Mutual Telephone Company, and today we offer local telephone service, long distance service, high-speed DSL Internet and over 200 cable television channels (in-town only) over our fiber optic network to the town of Palmer and the surrounding rural area. As a locally-owned company we can provide your communication needs quickly and efficiently. Please call us at 712-359-2411 or email palmerone@PalmerOne.com.